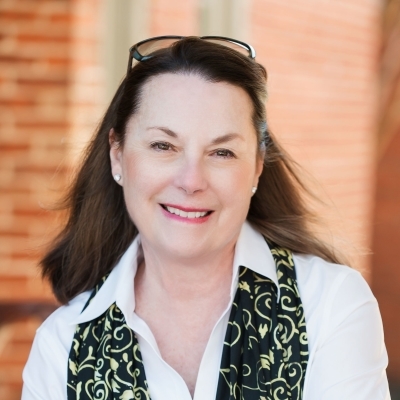 Sharon Keeny and The Keeny Team of Long & Foster Real Estate, Inc. specialize in residential real estate throughout Maryland.Representing our clients is a calling and Sharon and Anne put their clients’ needs and interest at the forefront of every transaction. The top producing Team in the Columbia Office for more than a decade, and one of the top ten producing teams in the Baltimore Region, The Keeny Team enjoys success one client at a time. In fact, the majority of their clients are repeat customers or their referrals. With a combined total of nearly 45 years in the real estate business, they bring a vast amount of experience, knowledge and confidence to a process that can be overwhelming and unpredictable. Licensed since 1990, Sharon has guided both buyers and sellers. As a lifetime member of Long & Foster’s Master’s Club and Luxury Alliance, her professional associations include National, State & Local Association of Realtors and Howard County Million Dollar Club. She is distinguished as being in the top 1% of residential real estate agents in the US. Sharon is a native Marylander and a Howard County resident since 1977. Active in Howard County education and local community endeavors as a past PTA President, PTA Council Delegate, President Glenelg HS Booster Club, President Howard County Auxiliary to Montgomery General Hospital Women’s Board, member St. Mark’s Episcopal Church Vestry and other various committees. A weekly tennis player and former women’s soccer coach, she lives with her husband, Roy and their adult children live in the Baltimore-Washington metro area. Suburban feel, urban vibe in this all brick Howard Homes property on a quiet cul de sac within walking distance to HCC, Howard General Hospital medical complex, Meriwether Post Pavilion and all that the new Town Center offers. You won't believe how much space is revealed. Enter the 2-story foyer up to the main level with renovated kitchen and stainless appliances; separate DR/LR with built-in shelving, entertainment center, and storage open to remarkable extra large deck overlooking open space and community tot lot. Freshly painted, newly renovated powder room. Upstairs to the master bedroom with wall-to-wall closets, large picture window, fully renovated master bath; 2 additional bedrooms and updated hall bath. Lower level offers separate living space with bedroom, full bath, family room with wood burning fireplace, full daylight with newly replaced sliding glass door opens to brick dry stack patio, fully fenced rear yard with gate to open space. This fine property has had numerous updates by the current owners to include a new 30-year architectural shingle roof in 2016, new recessed lighting in the living room, upstairs hallway and master bedroom, new appliances in kitchen and washer/dryer in 2014. Additionally, new in 2014 the water main supply line from the house to the street. All the amenities of Columbia Association await your enjoyment. Please park in reserved spot number 10 or unmarked spots. HOA fees to CA and Hickory Hollow.